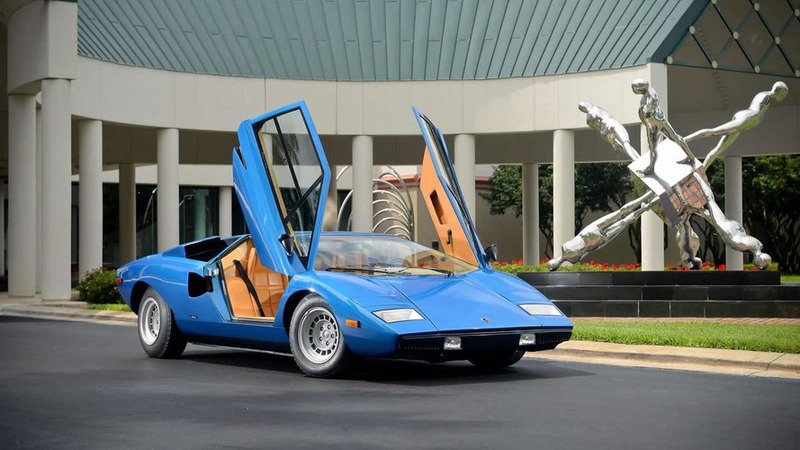 A 1975 Lamborghini Countach LP400 “Periscopica” was sold during a Bonhams auction for 1.2M USD. Over the decades Lamborghini has managed to keep its designs outrageous but very few cars can hold a candle to the iconic Countach. What we have here is an early model part of the initial batch of 150 cars that received the Periscopica name as a reference to the periscope mounted on the roof which was wasn't very effective and as a consequence it was discontinued after the model year 1977. As years passed by, Lamborghini applied more and more scoops and vents onto the Countach which is why many consider the first cars to be the most beautiful. Production was conducted between 1974 and 1990 during which 2,042 units were made and this particular car was built in 1975 and as you can see it looks like it just came off the assembly line. 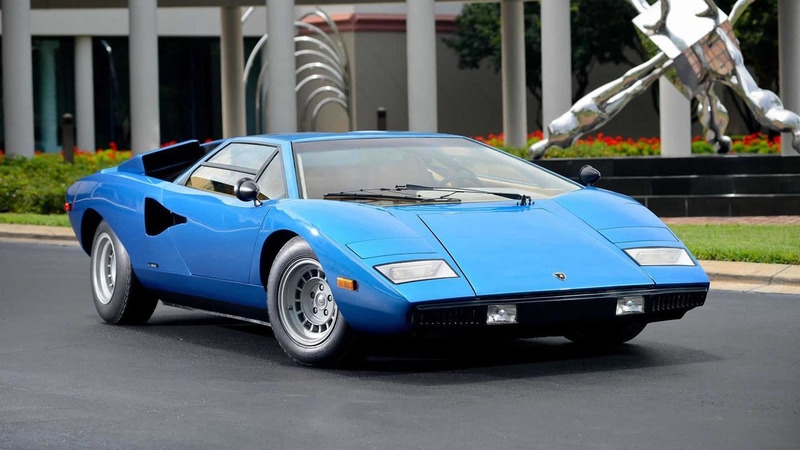 Wearing an attractive Blue Tahiti paint scheme, it's the first Countach to break the 1M USD mark and for good reason since it looks exceptional. It was driven for only 10,252 miles (16,500 km) and even though the chassis number doesn't match the engine, former Lamborghini test driver Valentino Balboni says during the Countach's early days of manufacturing it wasn't unusual to install an engine that wasn't in the production order. Balboni says there are "known reasons to consider engine number 1120070 [as] originally fitted by the manufacturer in chassis 1120066." A more in-depth description can be found at the source link below.